You could argue that cars that could marry huge performance with all-day comfort were the first true ‘crossover’ cars. They blended two or more attributes that, up to that point, were seen as mutually exclusive. That’s aid, we’re not sure even this tenuous assessment can explain BMW’s latest naming strategy. 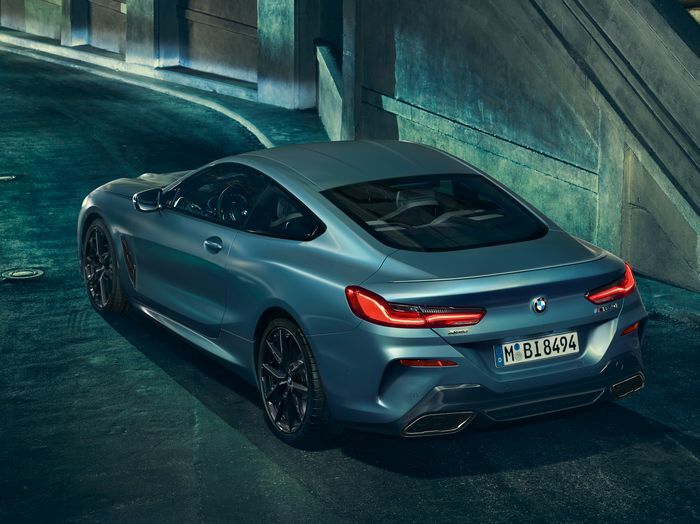 Absorb the Bavarian beauty of the M850i in a new, limited-edition trim called First Edition. That’s right; a First Edition of a car that has already been on sale for several months. We’ve seen tuners extract 661bhp from it, we’ve driven one on UK roads and there’s even been a one-off made with bits of actual meteorite. A genuinely odd choice of name, then, but let’s move past that and onto the spec sheet. What we have is an M850i with the usual 523bhp and 553lb ft from its 4.4-litre twin-turbo N63 V8. The devil is in the detail, here. 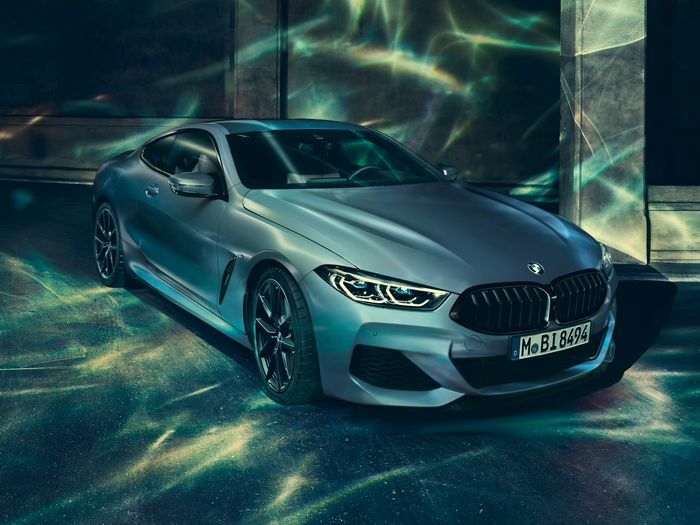 The 400-car First Edition comes in a single brand new colour called Frozen Barcelona Blue metallic in tandem with the BMW Individual High Gloss Shadow Line trim upgrade. It finishes the side window surrounds, kidney grille frame and slats, exhaust tips and more in black. 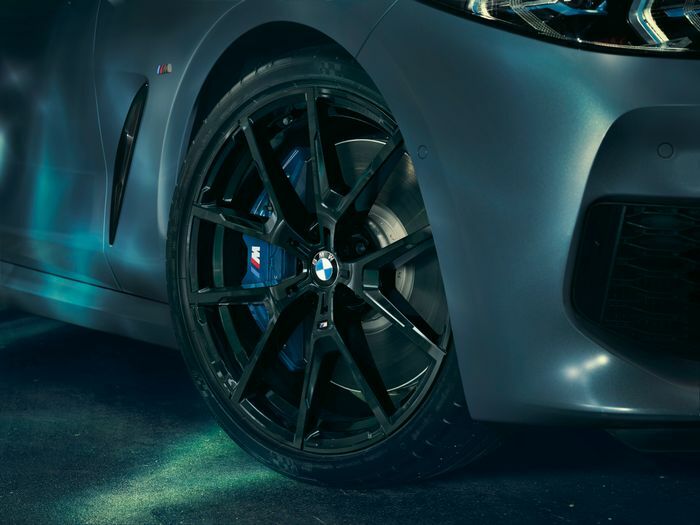 Also black are the special Y-spoke M light-alloy wheels in 20-inch size all round. 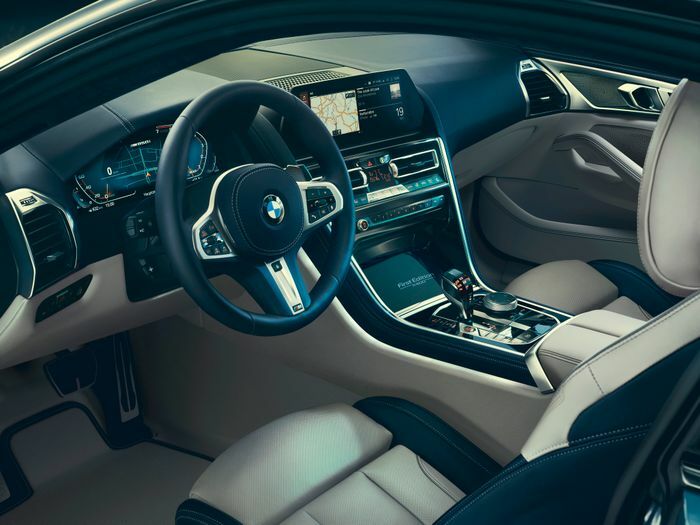 BMW has fixed large parts of the equipment list but you can still choose to add an M Carbon roof and an M Carbon exterior trim package for extra bling. On the inside the seats are also from the BMW Individual stable. Full Merino leather upholstery in Ivory White and Night Blue is ‘offered,’ which probably means optional. If chosen, the steering wheel and roof lining are also Night Blue. If you needed more convincing that this would be a nice place to spend time, there’s a Bowers & Wilkins Diamond Surround audio system that can massage the very best from your music. Just leave your low-grade MP3s in your pocket and use a CD. 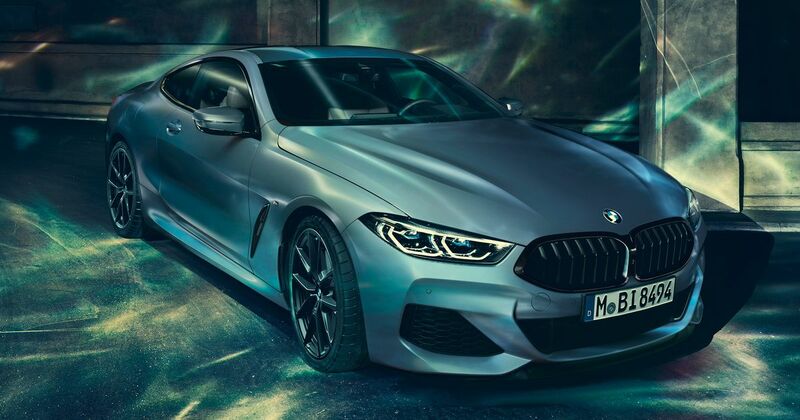 The 400 cars will be built at BMW’s Dingolfing plant between April and June, with prices in the region of ‘if you have to ask…’.